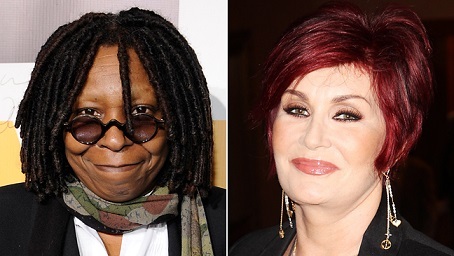 “Whoopi Goldberg says she doesn’t give a DAMN if Sharon Osbourne was talking smack about her show … telling TMZ Osbourne isn’t the first hater … and she probably won’t be the last. Osbourne came under fire last week when she went on the Arsenio Hall show and said the women of “The View” can all go F themselves (all except Barbara Walters). Osbourne later reversed her position and begged The View ladies for forgiveness … so when we saw Whoopi in NYC yesterday, we had to ask about the olive branch. But Whoopi’s answer may have hurt Sharon even more … ’cause the Oscar winner told us, she didn’t even KNOW about the insult in the first place. “Audrina Patridge‘s friendship with Lauren Conrad might be over for good … ’cause the former MTV star tells us she hasn’t been invited to LC’s upcoming wedding yet … and she’s not sure she ever will be. Conrad has been engaged for a solid month to her boyfriend William Tell … and there are reports that she’s looking to keep the wedding a non-MTV affair — no Heidi, no Spencer, no drama (However, word on the street is Lo Bosworth will be a bridesmaid). So, when we saw Audrina at LAX yesterday … we had to ask — did you make the cut???? We were kinda shocked by her answer. As anyone who’s ever been involved with a wedding knows … the guest list is a huge deal — and people take it VERY personally if they’re not invited when they think they should be.